It is getting to be summertime here in the United States and that means the towing season is about to get kicked up into high gear. With all the boats, 5th wheels, and trailers full of toys people are looking for the best option they can get their hands on for towing purposes. Whether you are looking for a pickup truck or a full size SUV there are quite a few options available for you. The deciding factors really come down to just how much weight you are trying to pull, and how much you are whiling to spend. Here are a list of the 10 best Tow Vehicles available today in no particular order. 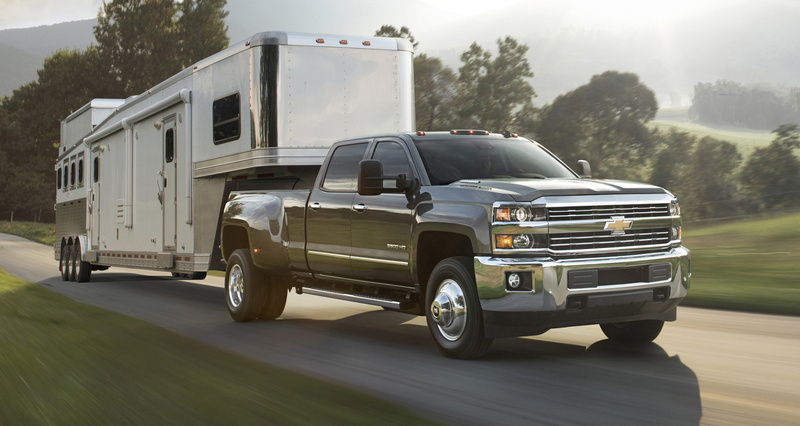 The Silverado is Chevy’s Full Size pickup that is available in many different configurations, but the top of the line is the one-ton 3500HD. With the 6.6L Duramax diesel engine that produces 397hp with 765lbs-ft of torque the 3500HD is able to tow 23,200 with a 5th wheel style “gooseneck” trailer and 20,000 from a conventional tow hitch. The Silverado also features the extremely reliable Allison transmission.